Inbali is a nonindustrial world, that requires extensive imports of outside technology to maintain a modern, star-faring society. Inbali, as a member world of the Third Imperium has a member of the Imperial Nobility overseeing the world. Inbali has an excellent quality starport. Inbali possesses a Technology Level of TL–15 or TL-F in Hexadecimal Notation. Inbali has a Feudal Technocracy government. 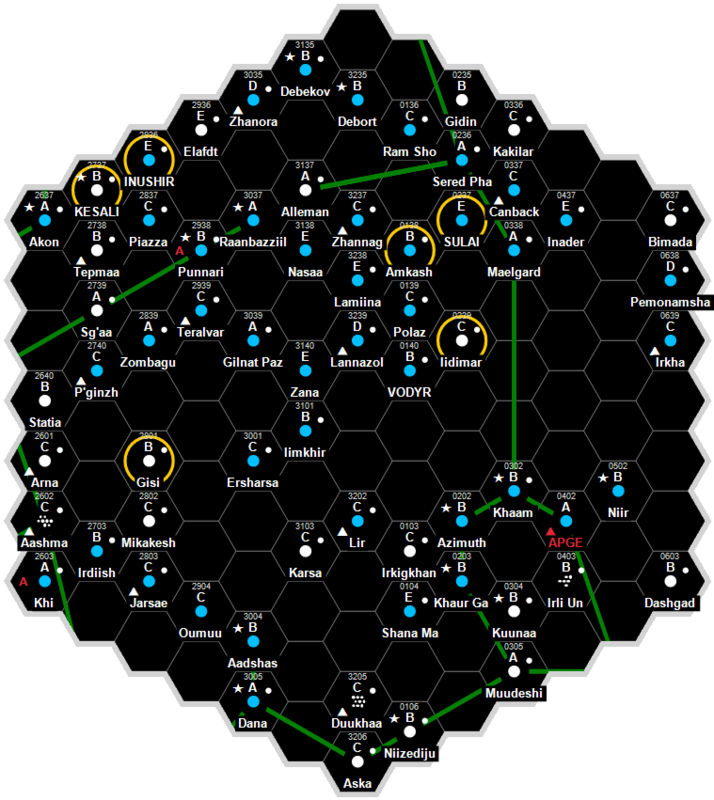 Inbali has been proposed as an alternate capitol of Sarar Subsector. Preparations have been made for the construction of a Ducal Palace and Halls of Assembly. This page was last modified on 5 August 2017, at 18:48.